The Riverlink Project focuses on a three-kilometre section of the Hutt River, and its city and State Highway 2 interfaces, between Ewen and Kennedy-Good bridges. The project aims to deliver better flood protection, enhanced lifestyle and improved transport links for the people of central Lower Hutt. A multi-agency approach, comprising Greater Wellington Regional Council, Hutt City Council and the NZ Transport Agency, proposes integrated solutions to deliver these benefits. Boffa Miskell is assisting those three agencies to incorporate urban design and transport improvements with the investment in flood protection. Our urban planning and design team has played a key role in integrating the aspirations of these three agencies and the Hutt Valley community. Placemaking was first trialled last summer when an existing stand of trees was removed to reveal the ‘Riverlink Pop-up Beach’. 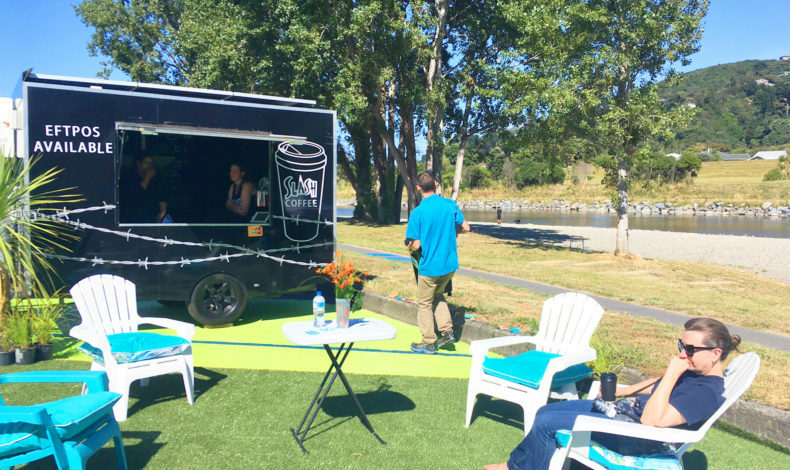 Activities, food, entertainment and a branded shipping container displaying information about Riverlink supported this natural attraction. This trial showed that people would go down to the river if access was made easy. 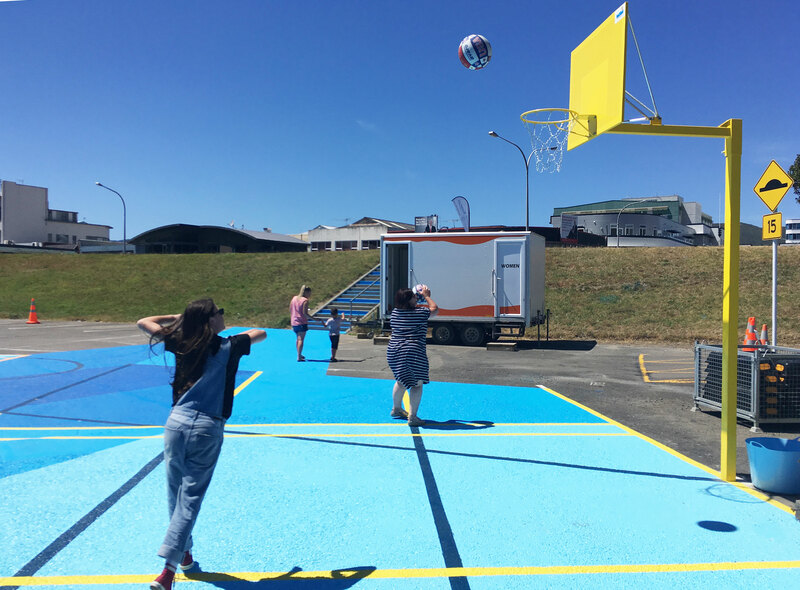 “The project team wanted to explore the opportunities Riverlink could provide such as better connections from the city to the river and places for families to play, relax and enjoy,” says Brad. Boffa Miskell landscape architects worked alongside the project team to create a vibrant space that connects to the city via a coloured path and provides a multifunctional play space that co-exists with the existing carpark function. Brad says orange cones have been left out to move around that can be used to delineate space at different times. Learn more about Riverlink and read the Preliminary Design Report here.